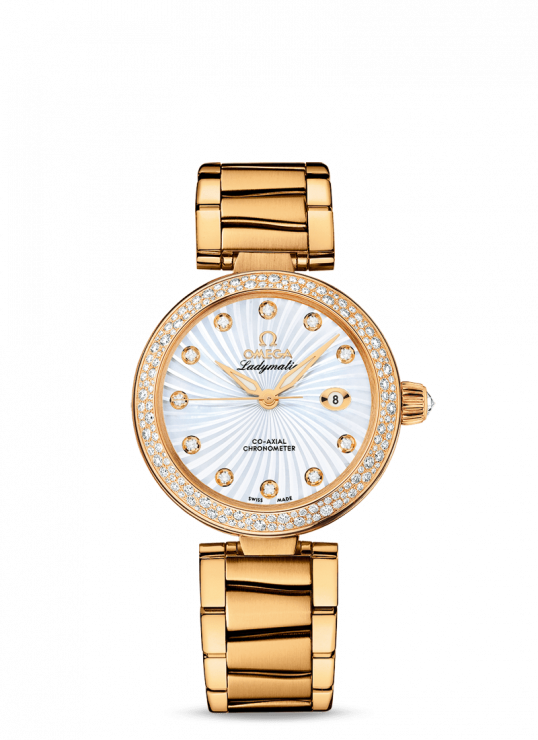 Crafted for a woman who cares as much about the technology in her timepiece as she does about its elegance and style, the OMEGA Ladymatic is truly mesmerising. 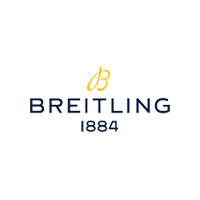 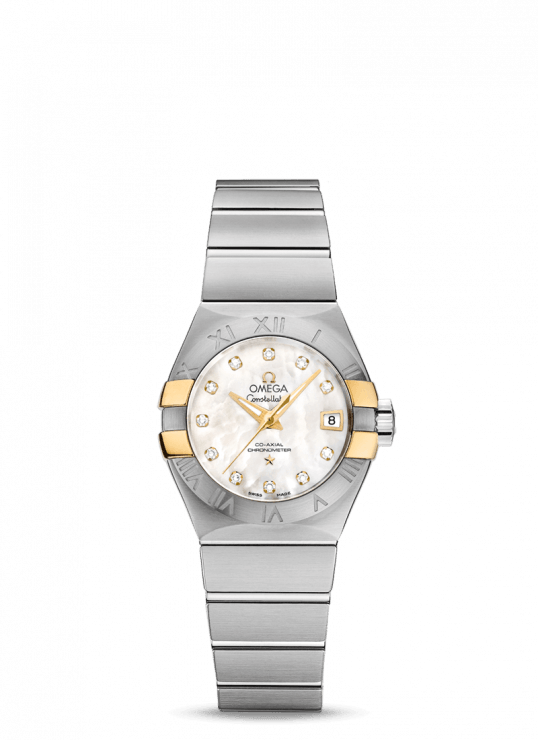 Featuring a white mother-of-pearl dial completed with diamond-set indexes and a decorated supernova pattern and date window, all visible through a scratch-resistant sapphire crystal. 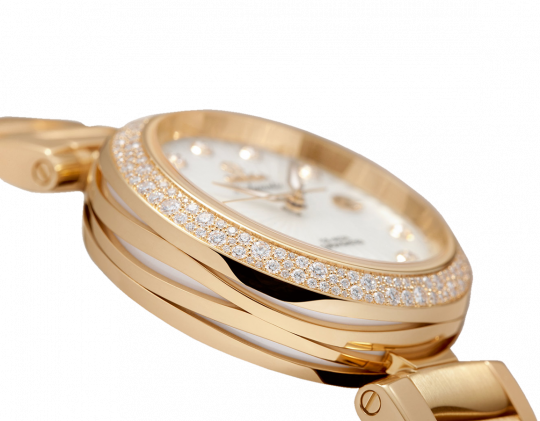 Mounted on the 34mm 18K yellow gold case and bracelet is the snow patterned diamond covered bezel. 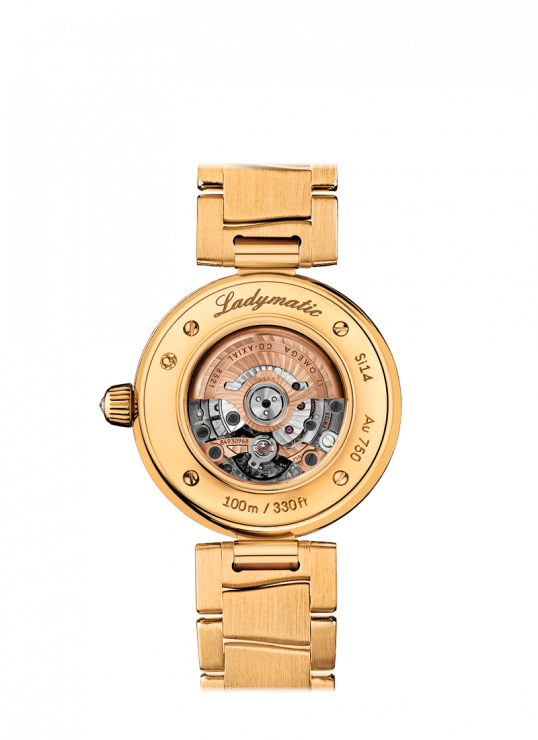 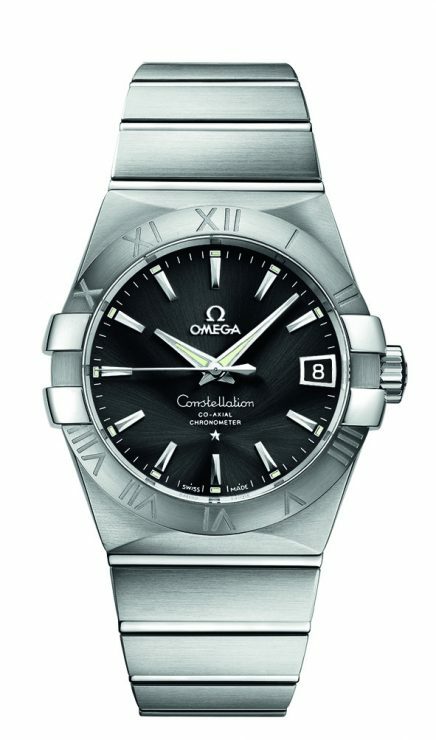 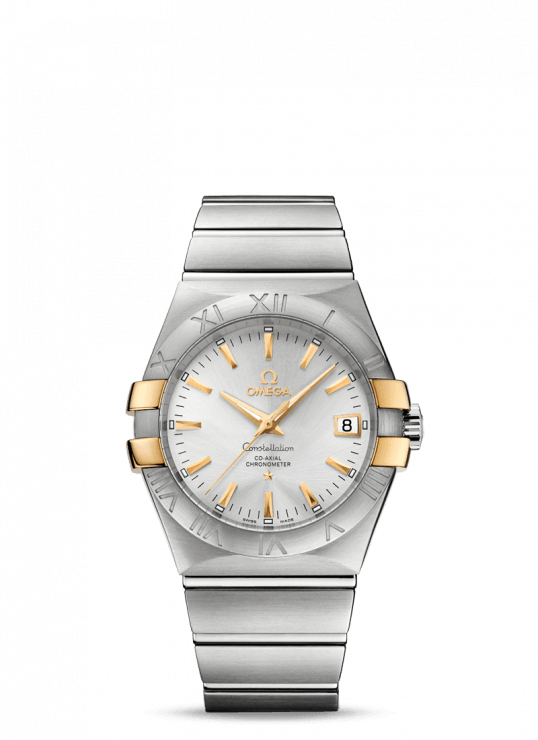 The side of the case is decorated by a wave-patterned gold ring with a white ceramic inner case body and the transparent caseback allows you to view the OMEGA Co-Axial calibre 8521 movement that sits at the heart of this exquisite piece. Omega De Ville 34mm Yellow Gold Ladies Watch has been successfully added to your shopping bag.